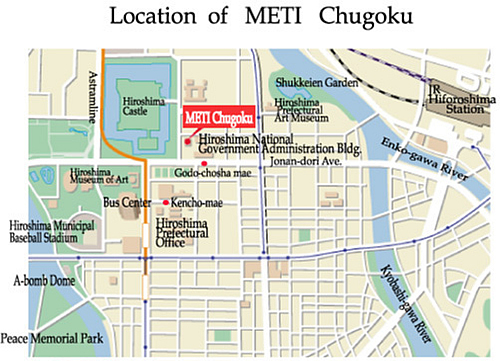 About METI Chugoku｜Chugoku Bureau of Economy,Trade and Industry. METI Chugoku (Chugoku Bureau of Economy, Trade and Industry) is a regional branch organization of METI (Ministry of Economy, Trade and Industry). METI Chugoku is committed to contributing to the development of the local by mobilizing the experience , expertise and various policies that it has accumulated thus far. In order to view PDF files, you must have the Adobe® ReaderTM plug-in offered free of charge from Adobe Systems, Inc.